Are you on the fence about whether or not to choose a local roofer for your roof installation project? Have you ever wondered why choosing a local contractor is beneficial? Well, if so, read on! Why is it Beneficial to Choose a Local Roofer Versus Other Competitors? Convenient, one-on-one communication. When you hire a local roofer or contractor, the company is more easily accessible when you need something. They are held highly accountable for their work by their community and customers, and they quickly reply to customer requests and customer needs. Contributing to your community’s local economy. Go local! Hiring local contractors keeps work and money in your community, which leads to personal satisfaction for many people. Cost-effective option. Since your local contractor is located in the same geographic area, they spend less time traveling. This means less money out of your pocket, making local contractors a cost-effective option. Credible referrals from locals. In smaller, tight-knit communities, you have the ability to easily check the contractor’s credentials. You can hear, first-hand, honest feedback from local residents regarding the service they received. Reliable service. Local roofers and contractors are reputable for holding true to company values, and offering reliable service. Since local roofers want to uphold their positive reputation within the community, they proudly offer reliable, values-oriented service. Easy access to visiting homes where they completed projects. Since you live in or very near the radius covered by your local roofer, you can easily drive to see projects they’ve completed. That way, you can gain a better sense of the roofing work you can expect. Knowledge of your geographic area. Your local roofer is knowledgeable regarding the local permits, zoning rights, and the like. This is critical when it comes to receiving top-quality roofing services that adhere to local regulations. Now you can understand why so many people are hiring local roofers! So if you need a new roof or gutter for your home, DeKalb Roofing Company is a reputable local roofer near Tucker, GA. Our professional, experienced contractors of DeKalb Roofing Company will undoubtedly deliver exceptional roofing and gutter work. Furthermore, our local roofers have a 5-year warranty on labor to ensure customer satisfaction. We stand behind our work 100%, while even offering free estimates. With approximately 40+ years in the roofing industry, we are passionate and dedicated to giving unparalleled services to our customers. As you can see, hiring our local contractors for your roof and gutter installation project will benefit you in more ways than one. We invite you to call us today to schedule your free estimate appointment! This entry was posted in Roofing Contractor and tagged atlanta roof installations, fast roofing contractors, hiring professional roofing contractors on September 7, 2012 by DekalbRoofing. Cleanup After Roof Installation: Important Thing to Consider! When choosing a roofing company to install your new roof, one very important thing to consider is whether the company will provide cleanup after the installation. The fact is, roofing is a messy job. The professional roofers at DeKalb Roofing Company make it a priority to leave your yard in pristine condition. Most roof installations are completed in 1-2 days, including the removal of your old roof and cleanup following the new roof installation. The first step in installing your new roof is to remove the old one, which will undoubtedly make a mess. Your roofing company should make it a priority to keep your yard as clean (and safe) as possible during this process. We remove the area of the roof that is farthest from the truck, and only remove areas that will be finished in the same day. We also make a point to keep an eye on the weather throughout the roofing job. Once your new roof is installed, we clean up your yard and remove any mess we’ve made. As a homeowner, you will never have to worry about having to clean up any of the mess yourself. We place great importance on making sure your yard is safe for your family and pets following a roofing installation, which is why we use a magnetic nail sweeper to ensure we have not left any stray nails or other debris. Getting a new roof is a major investment into the value of your home, but only if the job is done properly. 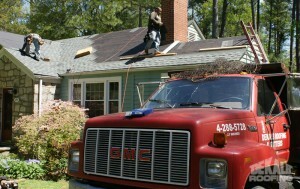 DeKalb Roofing Company has been installing roofs in the Atlanta area since 1972. 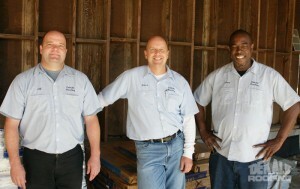 Each of our roofers has been with our company for over a decade. We are confident in our ability to provide customers with a job well done, and our work is backed by a 5-year labor warranty. We believe in providing customers with fair estimates, roofs installed with high-quality materials, and peace of mind throughout the installation process. We will not leave your yard in poor condition as your roof is installed or after the job is completed. Our roofing professionals do not see the job as “complete” until your yard looks just as it did when we got there. For a job done right the first time, you need an experienced, skilled roofing company that will make the entire roofing process as easy as possible for you, the homeowner. Contact DeKalb Roofing Company for all of your roofing and gutter needs. This entry was posted in Roofing and tagged atlanta roof installations, fast roofing contractors, roofing contractors free estimates on July 31, 2012 by DekalbRoofing. When the time comes to get a new roof, there are a few important decisions to be made. One of the most important choices is what type of material to use for the new roof. There are a few advantages to selecting a tin roof: it may last longer, it can add value to your home, and some people simply prefer the appearance of a metal roof. However, there are also several disadvantages to selecting a tin roof. Here are a few reasons many customers choose traditional shingles rather than a tin roof. Tin roofs are typically more expensive than shingle roofs. Choosing a metal roof is often more expensive because it is expected to last longer than a shingle roof. For homeowners who do not wish to pay a large amount of money upfront, shingles are probably a better option. A tin roof will need to be repainted to maintain its appearance. One major draw of metal roofs is that they allow homeowners to select the specific color of the roof, but the downside is that the roof must be repainted after a certain amount of time. A tin roof can be noisy during storms. Some people may enjoy the sound of rain hitting a tin roof, but others find it bothersome. You must be very careful when walking on a metal roof to avoid damaging it. Work done on the roof will require professional help. Here are a few things homeowners should consider before making a decision regarding the materials used in the new roof. Homeowners should take into account location and environmental conditions. A metal roof may not be the best option for homes near the coast, as salt from the ocean can corrode metal over time. The same goes for homes in hurricane-prone areas; a tin roof is more likely to sustain damage in a hurricane or other severe weather. Check with your insurance agency before having a new roof installed. Some companies will increase your rates if you get a metal roof rather than shingles because weather damage can dent a metal roof. A tin roof needs to be treated regularly to prevent corrosion. Homeowners should keep this maintenance in mind when considering a tin roof. The cost of your new roof should certainly be considered. While a metal roof may last longer, its initial costs will be significantly more. Homeowners should consider whether the initial cost is a worthy investment. When having a tin roof installed, it is imperative that homeowners find an experienced roofing expert to ensure issues such as corrosion and leaks do not arise. In addition, the roof must be installed in such a way that the metal can expand and contract with temperature changes. Failure to do so can result in the roof coming away from the fasteners. If you are considering getting a new roof for your home in the Atlanta area, it’s important to take the time to make the right choice for your needs. Our experienced roofing professionals can help you make important decisions about your new roof and provide you with top-quality installation service. Call DeKalb Roofing Company today to learn more about your roofing options. This entry was posted in Roofing and tagged atlanta roof installations, fast roofing contractors, hiring professional roofing contractors on July 13, 2012 by DekalbRoofing. Have you already decided that you want to install a new roof or a new gutter system for your home, but you haven’t decided which contractor to hire? Well if you live in the Atlanta, GA area, you’ll be happy to know that our fast roofing contractors complete most projects within 1-2 days! Roof installation—our incredible roof installation process and results are a reflection of our 39 years of experience! Gutter installation—we will install your gutter(s) system using our expertise and experience. Gutter covers—we use a product called LEAFSOLUTION to keep the debris out of your gutter so the water can run through freely, and with no problems. Architectural shingles—to enhance the appearance of your roof and home. You can view samples of these aesthetically pleasing shingles when you visit our showroom. So whether you are looking for a qualified roofer for roof replacement, gutter installation, roof repair, gutter cover installation, or architectural shingles, we have the solution to meet your needs! Why should you choose our fast roofing contractors? Here at DeKalb Roofing Company, we want you and your family to be well protected, happy, and safe, and that means giving you quality craftsmanship through the roofing and gutter installation services we offer. You can be rest assured that our fast roofers will produce top-notch results for any of the services you choose! You can count on us to give you the results you deserve. In fact, our customers love the fact that we complete most jobs within 1-2 days—that’s a short amount of time to wait for astounding results! When you choose our roofers, you can enjoy a quick turnaround for a beautiful, well protected home. 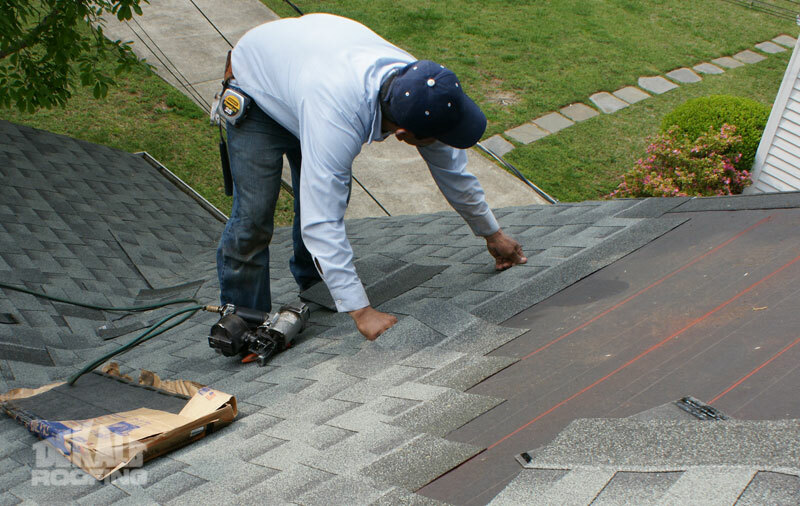 Furthermore, after the project is complete, our expert roofing and gutter installation professionals will haul away all debris to leave your yard neat, clean, and beautiful like it was before we started the projects. We know that some homeowners do not know all of the ins and outs of the roofing industry. Well, don’t worry about that because our roofing and gutter installers have each been employed in the industry for 10 years or more. We are more than happy to explain any services we offer, and answer any questions you have. Don’t know if you need a new roof or gutter? If you’re unsure whether or not your home needs a new roof or a new gutter, you can either schedule your free roofing estimate (written) with us, or you can call us to ask questions. We know that buying a new roof is a big investment, and you can feel confident you’re receiving top-notch services, while using top-of-the-line products, too. We prove our trustworthiness through our 39 years of experience being Atlanta’s most trusted roofing experts. Call today for your free roofing estimate! If you are ready to take advantage of our amazing home solutions, call our roofing contractors for your free roofing estimate. Also, be sure to browse our website specials where we offer great home exterior solutions at affordable prices. We are ready to serve you and your family’s home needs, so call us today! This entry was posted in Roofing Contractor and tagged fast roofing contractors on August 30, 2011 by DekalbRoofing. Are you in the process of researching roofers in Atlanta, but want to make sure that you are choosing the best? We are sure that everyone wants to hire competent and professional roofing contractors, but how do you know whom to choose? You can follow some tips to help you decipher between the best roofing contractors versus one you’re not satisfied with. Also, there are some questions that you should ask every potential roofer contracting company before you hire them. These tips and questions will give you an idea of some qualities and qualifications that the installers and contracting company should have. Is your company licensed, bonded, and insured? Does your company offer the roofing and gutter installation services that I need? Are there any other services you provide, too? How much experience do you have with delivering successful results for the services you need? Can I see some before and after pictures of projects you completed? How long does it typically take for your company to complete a project? Is this a guaranteed time frame, or just a rough estimate of how long it will take? How long have you been in business? How much experience (and what type) does your roof and gutter installers have? Do you offer a free roofing estimate so I know what exactly needs to be repaired or installed? If I request a free estimate, does that mean I have to hire you for the services, or what is your policy? Do you have a showroom that I can visit to see the product(s) before installation? What are the hours and location of the showroom? What types of products do you use? Are the products reputable and trust-worthy brands that last long and are durable? Does your company offer any specials on services or products? Does your labor and/or the products you use have warranties? If so, what are the exact specifications of the warranties? What type of emergency service(s) do you offer? For instance, if I have an emergency, and I need the roofing or gutter service right away, does your company offer emergency and/or fast service? If you’re unsure whether or not your home needs a new roof, you can either schedule your free roofing estimate (written) with us, or you can call us to ask questions. 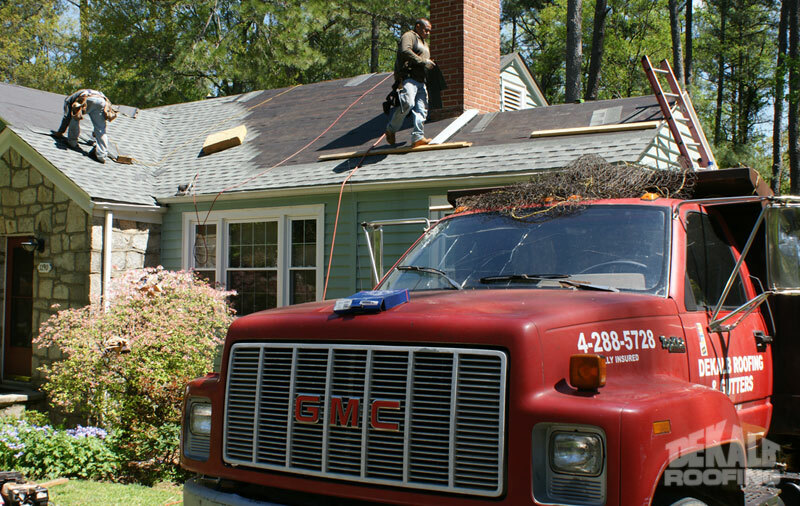 We have 39 years of experience being Atlanta’s most trusted roofing experts. We know that buying a new roof is a big investment, and you can feel confident you’re receiving top-notch services using top-of-the-line products, too. So whether you are looking for a qualified roofer for roof replacement/roof repair, gutter installation, gutter cover installation , or architectural shingles, we have the solution to meet your needs! Hire DeKalb Roofing Company and hire the best! We want you and your family to be well protected, happy, and safe, and that means giving you quality craftsmanship through the roofing and gutter installation services we offer. You can be rest assured that our roofers will produce top-notch results for any of the services you choose! This entry was posted in Roofing, Roofing Contractor and tagged fast roofing contractors, free roof estimates, hiring professional roofing contractors, roof and gutter installers, roofing contractors free estimates on August 16, 2011 by DekalbRoofing. If you’re ready to enhance and protect your home with a new roof or gutter system, you can find what you need at our roofing company. DeKalb Roofing Company has been serving its customers for the past 39 years. 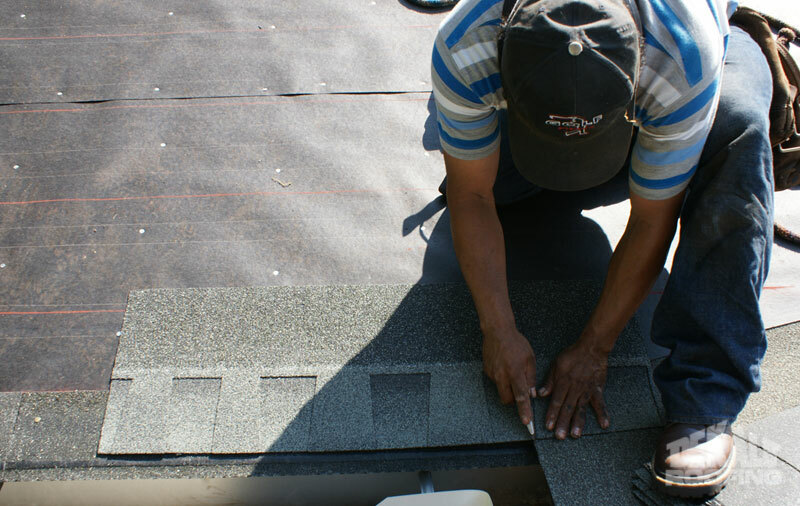 When you hire our roofing contractors, you will receive excellent customer service and professional craftsmanship. How does the free estimate and consultation process work? If you’d like us to perform your roof installation and gutter installation services, we can help you understand the way the process works. Once we receive a request for an estimate via phone or email, we will ask you questions in order to give you an accurate estimate—on a new roof, new gutters, and/or gutter covers. For instance, if you need new gutters or you need a leaky roof fixed, we will ask you which room and its location in relation to the front of the home. Typically, we almost always give next-day service after we give you the estimate. The estimator goes to the home for a thorough inspection of the property. (We stress that the client need not be home for us to do the estimate, and we don’t make appointments for free estimates). This appointment will include getting on to the roof to inspect for any potential problem areas and any rotten wood. The estimator will also make a diagram of the roof noting the different materials needed and the amount of different materials. As you can see, there is so much more that goes into a properly installed roof than just shingles and nails! After that, the estimator will prepare a written estimate in the form of a proposal in which we can email, fax, or mail it to you. Once you review the estimate, and if you decide for us to do the work, you will then choose the materials. We can bring samples to your home or you can come to our showroom. Lastly, we will schedule a date and time to proceed with your services. Experience excellent craftsmanship with us! Our customers have always been extremely happy and satisfied since we complete most roofing and gutter projects within 1-2 days. You can enjoy a quick turnaround for a beautiful, well protected home! After the project is complete, our roofing and gutter professionals will haul away all debris to leave your yard neat, clean, and beautiful. If you’d like roofing and gutter replacement services, you can trust us to deliver unparalleled services. You can call us today to schedule your free quote! This entry was posted in Roofing and tagged Atlanta re-roofing, atlanta roof installations, fast roofing contractors, hiring professional roofing contractors on July 20, 2011 by DekalbRoofing. When searching for a roofing company, it is important to note that all of the companies you come across are not equal. In fact, there are a few exceptional roofing companies in the area, and then there are many that do not perform the quality work you deserve for your investment. At Dekalb Roofing Company, we want to educate consumers so they can select the best roofer for the job. Below are 3 reasons that all roofing contractors are NOT created equal. 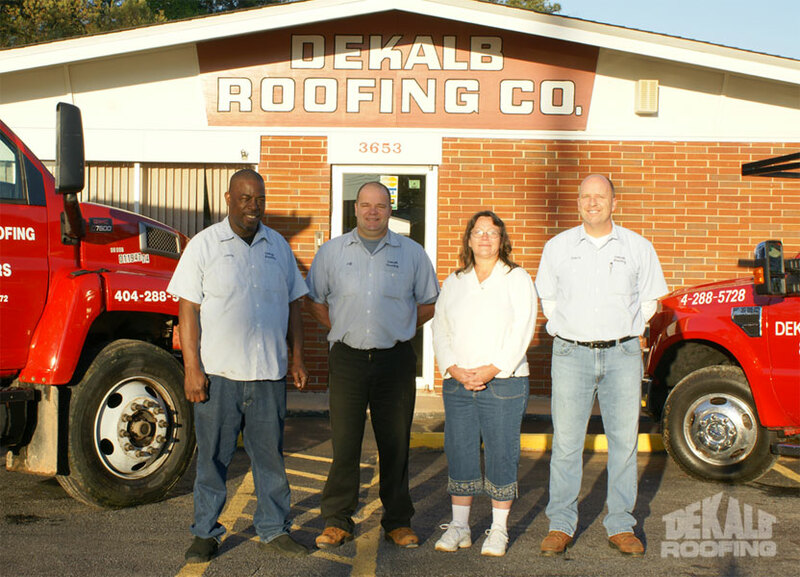 Experience plays an important role when roofing a home or office building, and at Dekalb Roofing Company we know this better than anyone else. In fact, we have been in business for nearly 40 years! When you hire us to oversee your roofing project, you will receive a prompt quote, professional service, and a quick turnaround time on your project. Our team of dedicated roofing specialists can typically have your project completed in just 1-2 days! We pride ourselves on exceptional customer service, and will go out of our way to make sure the job is done to your satisfaction. Many roofing companies work as quickly as possible, and pay little attention to the quality of their work. 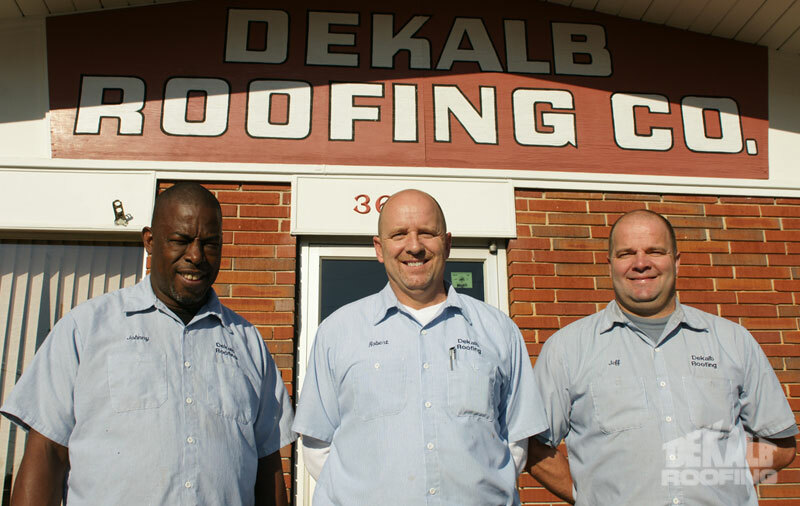 At Dekalb Roofing Company we stand by our work, and offer a 5-year warranty on labor. In addition, when calling our office or visiting our showroom, you will be greeted with a smile and a handshake. We believe in treating the customer with the utmost dignity and respect. Are you concerned that a roofing project will leave your yard in shambles? Whether you need a new roof, professional gutter installation, gutter covers or any other service that we offer, your yard will look impeccable when we leave. Our roofing contractors are trained to leave your yard just as they found it– no nails or other foreign materials will be left behind! If you are searching for an Atlanta roofing company that you can trust to finish the job in time and on budget, then contact Dekalb Roofing Company today for your free estimate! This entry was posted in All services, Roofing Contractor and tagged fast roofing contractors, hiring professional roofing contractors, roof and gutter installers on July 7, 2011 by DekalbRoofing. Sometimes it can be a difficult decision to select a roofing contractor to meet you and your family’s needs. Maybe some roofing companies charge too much money for their services, and others might not have good customer service. Still others might not use the best products in the market. Is the company licensed, bonded, and insured? Does the company offer the roofing and gutter installation services that I need? How much roofing experience do they have with delivering successful results for the services you need? Do they offer a free estimate so I know what exactly needs to be repaired or installed? Do they have a showroom that you can visit so you can see the product(s) before you have them installed? How long does it typically take for the company to complete a project? What types of products do they use? Are they reputable and trust-worthy brands that last long and are durable? Does the company offer any specials on services or products? Does their labor or the products they use have warranties? If so, what are the exact specifications of the warranties? If you have an emergency, and you need the roofing or gutter service right away, does the company offer emergency and/or fast service? We will exceed your expectations! These questions can help you select a roofing company to meet your needs. Actually, if you ask these questions to our roofing contractors, you will absolutely get favorable answers, which proves you can trust us. In other words, DeKalb Roofing Company takes the difficulty out of making this important decision! Not only do we provide excellent customer service, but the line of products and types of roofing and gutter materials we use offer ultimate protection and durability. If you’d like to take advantage of our line of services we offer, you can call us today so we can come to your home to give you a free estimate! You can even stop by our showroom where you can browse through the products and materials that you’d like us to use for your home. We want you and your family to be well protected with our roofing and gutter installation services, so call us today! 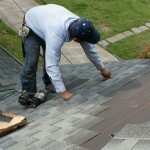 This entry was posted in Roofing and tagged fast roofing contractors, free roof estimates, hiring professional roofing contractors on July 1, 2011 by DekalbRoofing. Do You Want to Hire the Best Roofing Contractors in Atlanta, GA? If you are looking for a roofing company in the Atlanta, GA area, DeKalb Roofing Company has the best solutions for you! Whether you need to protect your home from Mother Nature’s destructive forces, or if you simply want to enhance the appearance of the exterior of your home, you can choose among the best roofing services that we offer. Experience the DeKalb Roofing Company Difference! Overall, we have the strong desire to protect you and your family, while giving you the best customer service. Our philosophy is that we do it right the first time—making our customers happy and satisfied with the results we deliver. Throughout the past 39 years, our customers love the service and the results we provide—because if you and your family aren’t happy with the results, neither are we! Our customers absolutely love the fact that our start to finish time on most projects is 1-2 days. That means that you and your family can experience a fast turnaround, and enjoy your well protected, beautiful home within a short amount of time! Roof installation—From the time we come to your home to give you an estimate of how much your project will be, until we actually complete your project a few days later, you will experience the unique craftsmanship of our installers. Gutter installation—With our experience and expertise, we know how to create a customized, efficient gutter system so you will not have the dreadful effects of a broken or useless gutter! Gutter covers—By offering and installing the best product of gutter covers—LeafSolution—your gutters will need significantly less cleaning! Additional information about this product can be found at http://www.leafsolution.com. Architectural shingles—When you wish to significantly enhance the exterior of your home, this type of shingle can do wonders for your home! If you’d like to see first-hand what they look like, we welcome you to our showroom where we have samples to browse through. So if you’d like to take advantage of these impressive and effective home solutions, we encourage you to call us today at 404-288-5728. You can call us to come out to your home for a free estimate, too! Sometimes we offer specials on our services, so be sure to visit our website often. Our company is ready to protect and enhance the exterior of your home—are you ready, too? This entry was posted in All services, Roofing and tagged Atlanta re-roofing, atlanta roof installations, fast roofing contractors on June 29, 2011 by DekalbRoofing.